This collection of essays in English and in Spanish is concerned with the travels of a genre and related issues of artistic, national, and transnational identities. In recent decades there has been a reemergence of road movies on a global scale. 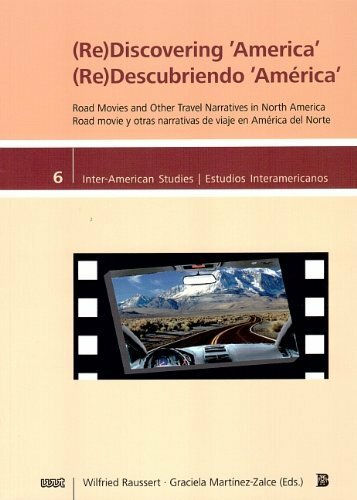 This volume is especially interested in the expansion of the genre in the Americas—with a particular focus on what we like to label new and alternative road movies that have come out of Mexico, the United States, and Canada. As scholars and critics we intend to rediscover ‘America’ through the lens of a transnational, inter-American approach. While, cinematically speaking, we certainly can and have to trace the filmic origins of road movies to the U.S. and Hollywood, we want to emphasize the importance of revisiting the genre within a North-South perspective and to explore how the genre has changed through the cultural flows of globalization in recent decades.